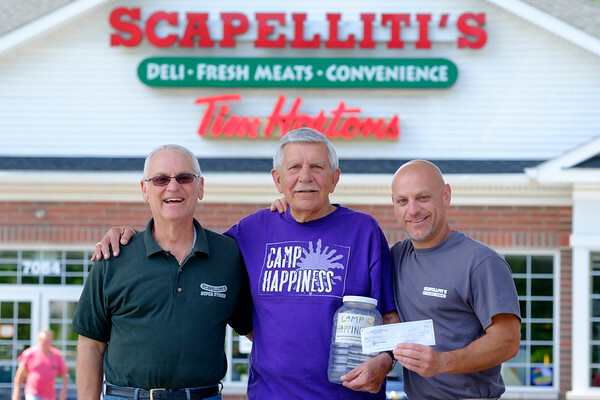 JOED VIERA/STAFF PHOTOGRAPHER-Lockport, NY-Scapelliti's owner's Dominic, left, and Sam Scapelliti, rght, hand a check for $600 to John Zieziula. The funds will help pay for Camp Happiness, a summer day camp for people with intellectual and developmental disabilities. Money was raised by placing a jar by the store's cash register to collect customers unwanted change over a 6 month period starting in January.